This is Thanksgiving Week and Golf for Beginners, along with guest blogger Rachael Stockwell, reflect on the many things to be thankful for, from peaceful walks along somewhat deserted fairways to gathering with family and friends around a turkey with trimmings. With that in mind, we thank our readers for ten years of connection and golf conversation. In my eyes November means leaves turning color, a crispness in the air and the wonderful way nature seems to surprise us with its glory. You can still find many golf courses filled with players eagerly enjoying the Indian summer. It’s a great time of year to appreciate your surroundings and indulge in the love of the game; there is no sweaty grip, or cold fingers. It’s the ideal temperature to feel the breeze and enjoy the fresh air. With these feelings brings thankfulness. Many people nowadays think of this season as stressful. It’s the hustle and bustle before the holidays. Families are preparing to go above and beyond then the year before, whether it is becoming craftier, replicating holiday décor from a Pottery Barn catalog or inviting more guests this year. The holiday season goes by so quickly even though we enthusiastically await it every year. This late summer has allowed us to enjoy the course and out of the craziness of the holidays a little longer. 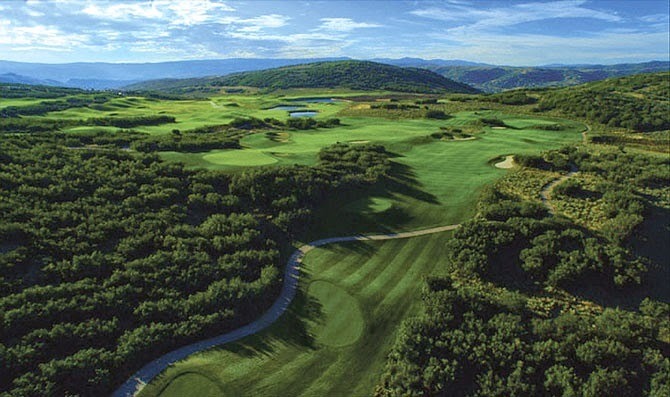 One of the places that brings back the love of the game in a spectacular mountain town is The Talisker Club in Park City, Utah. What makes the Talisker Club so special? The elite club benefits no other community offers, the private recreation and elite hospitality makes the Talisker membership so appealing. They are dedicated to make any experience, whether it’s skiing or world-class golfing exceptional practice. The landscape of the championship golf is bordered by soft, rolling hills, bentgrass fairways, and impeccably manicured greens with stunning views of the Jordanelle Reservoir, Mount Timpanogos and Deer Valley Resort. The private 18-hole, championship Mark O’Meara-designed golf course at Tuhaye is one of the most stunning places to play your game. Challenging yet manageable for all levels of ability, with play between 5,100 to 7,800 yards and 6,900 feet above sea level at Tuhaye’s location, the ball will travel further in the mountainous thin air - a big difference compared to an average course in the typical southern golf locations. A recent article by Travel and Leisure Golf magazine showed Talisker Club as ranked #8 in “America’s Top 100 Golf Communities”. The club also offers competitive golf tournaments such as The Memorial and the O’Meara Cup. There are so many golf developments that try to anticipate the next big thing, however Talisker adapts to their customers lifestyle and reacts in unique ways. 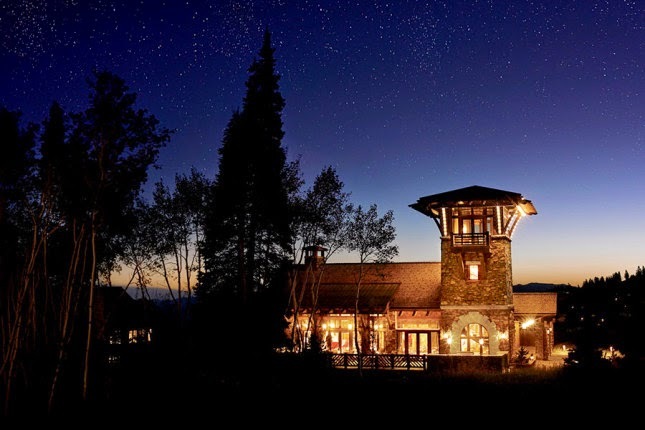 Each of Talisker’s three distinct neighborhoods —Tuhaye, Empire Pass, and Red Cloud in the Deer Valley® Resort—are united by one very exceptional offering: the award-winning Talisker Club. Take a moment to enjoy your favorite golf course before the snow hits. The next time you seem to be stressing over Thanksgiving fixings or desserts, take a deep breath. This is a time to enjoy one another, but also to be thankful for what we have in our lives. If this means relaxing in a wonderful environment to play our favorite game or bentgrass fairways, then let it be so. Places do exist where family home meets a perfect day of golf. 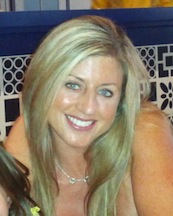 Rachael Stockwell, Guest blogger: Rachael Stockwell has ten years of experience in online marketing and focuses on PR development for the economic development, energy, luxury, and rental market sectors. Voice your opinion on Twitter @Golf4Beginners or on this Golf for Beginners blog! 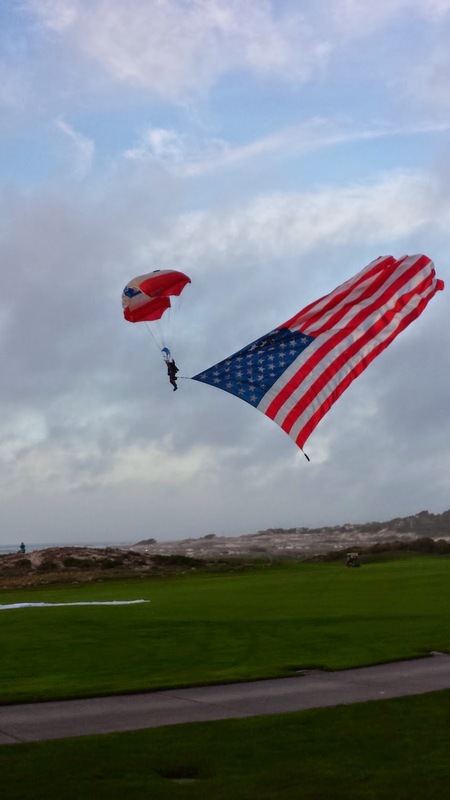 Aside from being one of the most anticipated golf events of the year, the mix of sports and football legends as well as Navy SEAL maneuvers made the 24th Annual Legends Invitational one of the most unique happenings I have ever attended. Here is my take on the festivities and why you should mark your calendar for next year's celebration. After flying from east to west coast, I arrived in sunny Monterey, California to meet the Navy SEALs and play golf at the Legends Invitational Event. 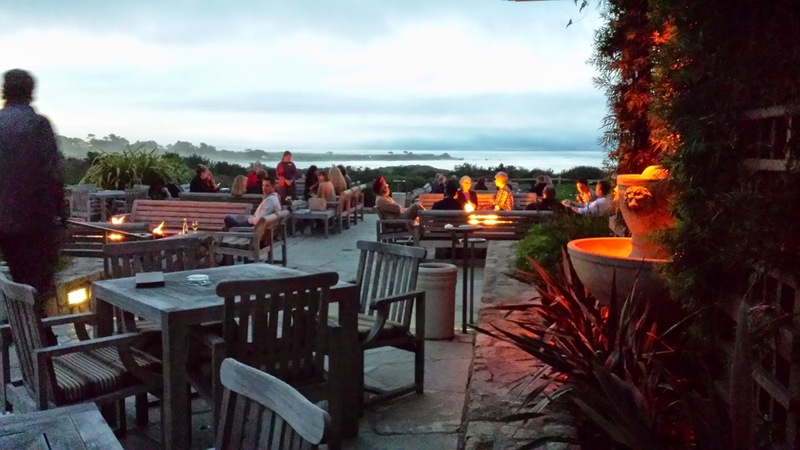 The trip was long but, as I stepped onto the back porch of The Inn at Spanish Bay illuminated by blazing fire pits, I became mesmerized by a scene of calm and storm; peaceful flag-fluttering greens were accentuated by waves crashing from behind. Long first day with the prospect of the adventure to come. Day two, standing on the porch having a cocktail at the Jack Daniels tent, I was awed as I watched a swarm of Navy SEALs parachuting onto the fairway of Spanish Bay Golf Links, gliding softly into three-point landings to the sounds of patriotic songs performed by The American Rogues. It was a touching moment which made me realize how fortunate I am to be living in the greatest country in the world. I had never seen demonstrations so realistic nor had I been in the immediate presence of so many Military in full gear – guns (not loaded) by their sides, GO Video cameras atop their helmets and canine SEAL-in-training MIKO ready for center stage – talk about up-close-and-personal, this was in-your-face cool. SEALs warmly took the spotlight as cameras were flashing; Lauren Seaver, news anchor at KSBW-TV mentioned, "it was one of the coolest demonstrations I had ever seen" and that nothing like this had ever occurred before at Spanish Bay. Nick Buoniconti, NFL Hall of Fame middle linebacker who played for the Boston Patriots and Miami Dolphins said, "I had chills. 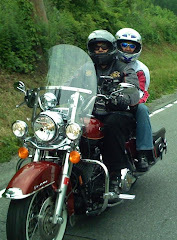 You get chills up and down your spine because you know, that, in real life, they're putting their lives on the line." The Navy SEALs, heroes of Sea Air and Land, are special forces who go into situations of grave danger and provide reconnaissance - they are the ultimate warriors. Navy.com states that SEALs bring "a threatening act of sea piracy to resolution in the blink of an eye." The National Navy UDT SEAL Museum is dedicated to preserving the history of SEALs (originally known as frog men), while honoring the fallen heroes and assisting the families of warriors who have perished in battle. The Navy SEAL Museum receives no federal funding and relies solely on the patriotic support of our citizens which is why the Legends Invitational Golf Event has chosen The Navy SEAL Museum and these brave responders as the recipients of their support. After a night of meet and greet with HOF Football Legends and Navy SEALs complete with delicious buffet prepared by the Spanish Bay Inn chefs, the next morning brought a few hours of respite before the official event start, so what did I choose to do? 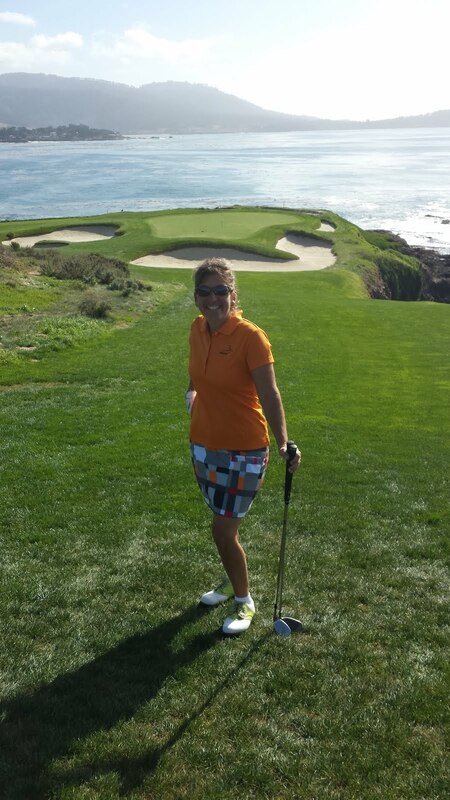 Walk Pebble Beach Golf Links! 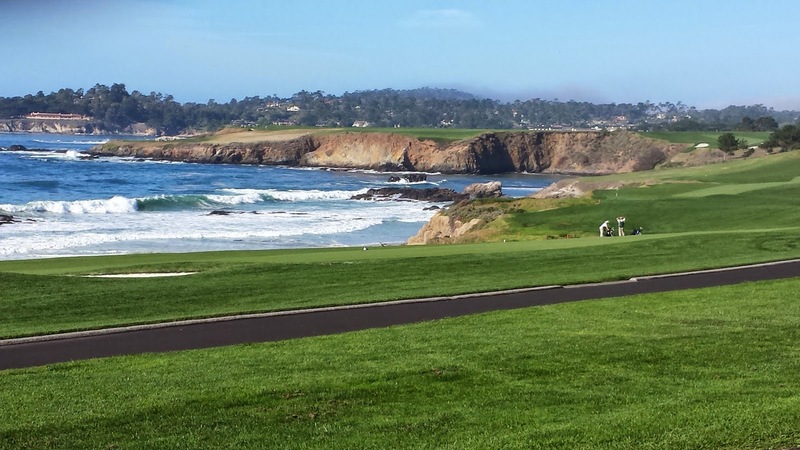 Being a golfer and knowing you are going to play Pebble Beach the next day, thoughts arise such as, “I wonder if hole number 7 is as treacherous as I read” or “does the 18th hole really look that beautiful in person? The answers are yes to both questions. Pebble Beach, Spyglass Hill and Spanish Bay, three of the most beautiful courses in the world, each have a natural, rugged beauty that cannot be justified through the lens of a camera. If I could offer one tip that stands for all three of the golf courses mentioned above, whether you have played here before or not, it is to invest in a caddie. I thought my distances, reads on greens were close but I was off on almost every decision I would have made, so the caddie definitely saved my group and I a number of strokes. My group consisted of Pete and Wayne Kostroski, Vice Admiral Joe Kernan and Kerry McNally. Yes, I played golf with an ADMIRAL! While teams were captained by football and sports legends, other teams were led by Navy SEALs. In my opinion, our team hit the jackpot-the Admiral is an approachable leader and a true gentleman. The additional three team members were a memorable group of excellent golfers. McNally is an Emmy Award winning videographer, Wayne Kostroski is the founder of Taste of the NFL whose annual Superbowl Party with a Purpose rallies the country's top chefs and the NFL's greatest players to raise money in support of food banks throughout the United States. Pete is his son and an awesome golfer (with a single-digit handicap). 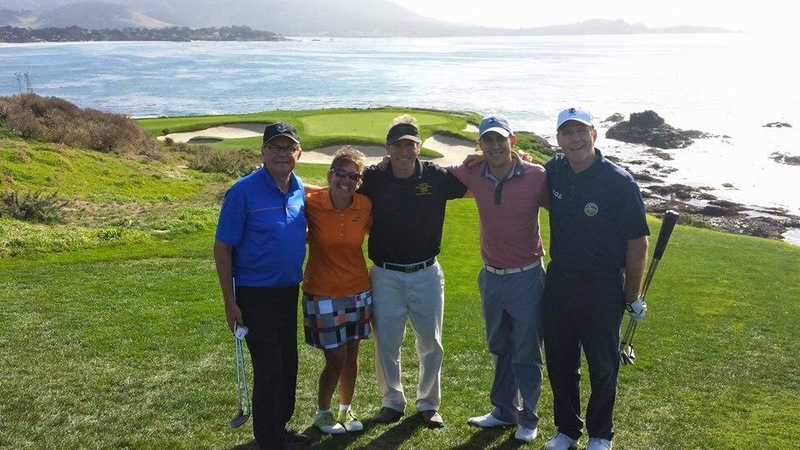 As we got to the 7th hole at Pebble Beach, we were greeted by Jack Daniels crew and we toasted to good health and good fortune with Legends Invitational owner John Lee (who stood and watched our shots) …and then we proceeded to par the hole! The rest of my Pebble Beach golf round was equally as spectacular as this 18-handicapper forged ahead to shoot a 94. What could make this golf event even more memorable for me? Playing Spyglass Hill and Spanish Bay the following two days. 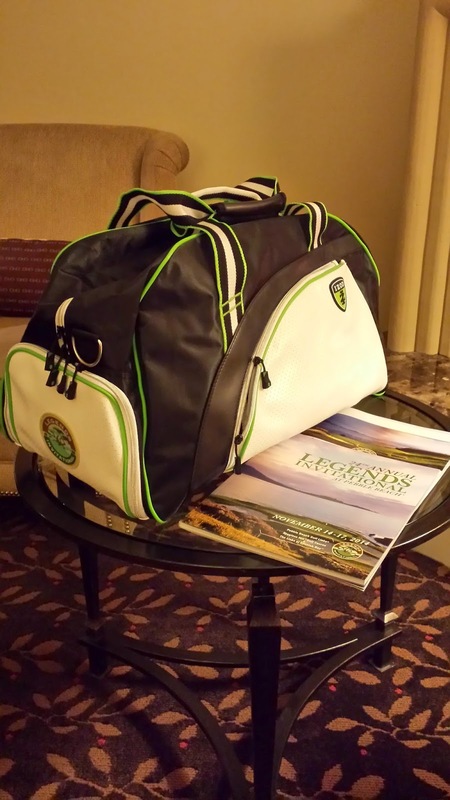 Legends Invitational title Sponsor, IZOD, created memorable gift bags including their outstanding golf apparel for all of the participants. 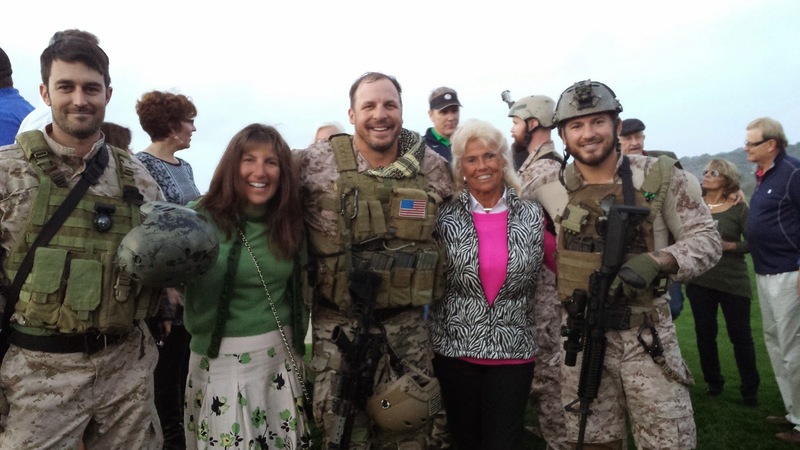 A great deal of thanks for their devotion to the Event and for their support of The Navy SEAL Museum. This is how to support the The National Navy UDT SEAL Museum. More information on Legends invitational Golf Event and how you can attend next year's extravaganza. Voice your thoughts on our Golf for Beginners blog and on Twitter: @Golf4Beginners, @NavySEALMuseum and Legends Invitational @SEALsGolf. Golf for Beginners enjoys getting contacted by guest bloggers looking for an outlet to share their opinions with fans of the sport. 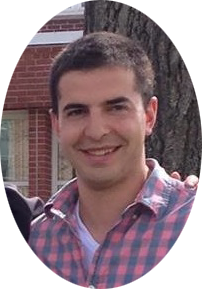 This blog was written by Chris Giolitto, a former golf pro (see bio below) and where GFB does not necessarily share the opinion of the blogger, we appreciate the commentary! 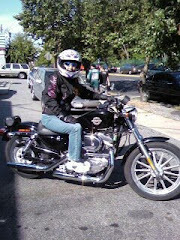 Thanks Chris - on to the blog! Often we are told to be mindful of the tempo of our golf swings. While I believe this to be very important, golfers tend to misconstrue this advice. How many times have you been on the golf course, lost a few balls on your first few holes and decided you weren't going to let that happen again? Here’s what you probably do next. You get to the next tee, set up for your shot, take the club back, and on your downswing you attempt to guide the ball to the fairway. Your result? One of ten shots go where you'd hoped. The other nine? A few barely make it off the tee box, a few others still go right and lost, and the rest end up in that pond just past the tee box that you never knew existed. My point? 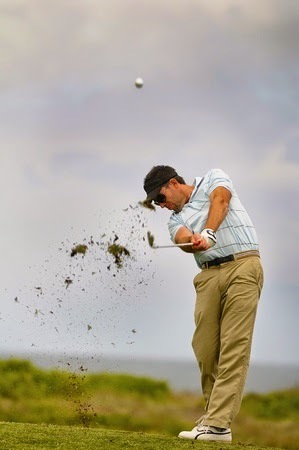 Trying to control your tempo can often lead to trying to guide the golf ball with an indecisive swing. It's similar to shooting a free throw in basketball. If you are nervous you are going to shoot an air ball and just aim to hit the rim, you often air the ball anyway. Your best bet is to be aggressive. Shoot to make the shot. Swing to hit the perfect shot. 1. Swinging at 100% - This is your most natural rhythm to swing. Take a controlled back swing and once you transition to the downswing, give it full power; 80% swings often lead to fat shots that roll fifteen yards, or a less than full release that results in a slice. 2. Focusing on your target - If you know you are going to make an aggressive swing, you know you need precision. Focus on your target and let it rip! 3. Confidence - If you are committed to hitting your shot with 100% power and focused on your target, you will have automatic confidence in your ability to hit that shot. Now a quick caveat before going out and firing at every pin and challenging every water hazard. I am not saying here to play like Phil Mickelson – you don't have his talent and ability. Play the shot that best suits you. If you need to aim at the center of the green, find your best target and play an aggressive shot to that target. Whichever shot you choose to hit, make sure you swing aggressively. With commitment to swinging 100% while focusing your target, you will be confident and find that your shots become much more consistent. Plus, swinging at any less than 100% is no fun! Do you agree with the author? 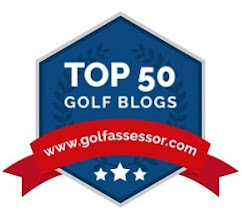 Voice your opinion on this golf blog or on Twitter @Golf4Beginners! 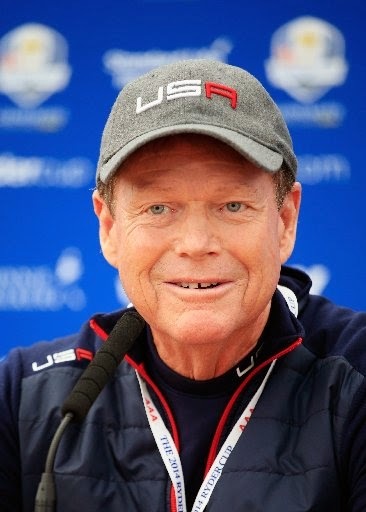 Tom Watson has been in the news lately with mixed publicity, most notably as Ryder Cup Captain and most recently as honoree of the NAIA Champions of Character Foundation. Golf for Beginners considers Mr. Watson to be a distinguished sportsman as well as one of the greatest short-game players to ever grace a green. In this golf blog we will review a few of the putting tips that helped "Huckleberry Dillinger" win thirty-nine events on the PGA Tour as well as five Champions Tour major events. 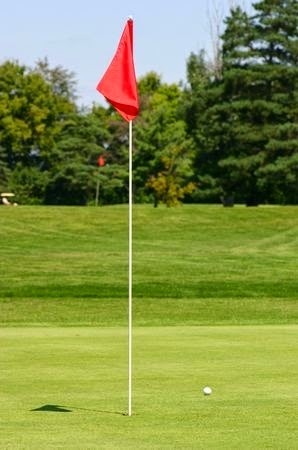 In Watson's book, "Getting Up and Down", putting takes center stage and with good reason; Tom mentions that "putting is half the game so it deserves half of your practice time." Feel, set-up, aim and a good judge of distance are essentials to being a great putter. 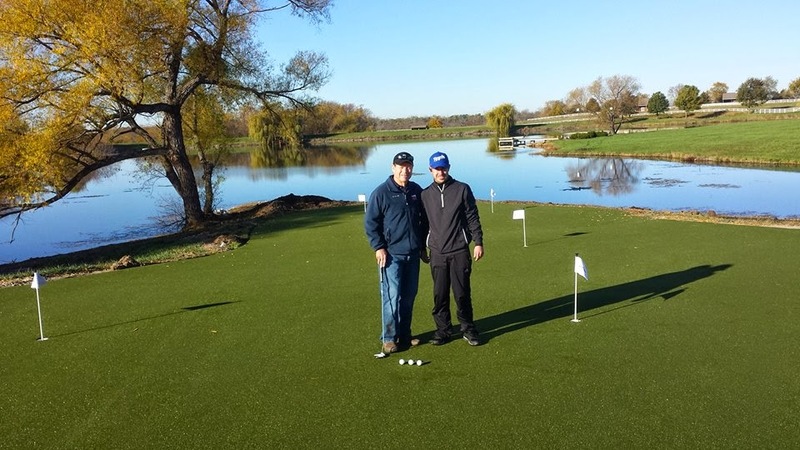 Tom Watson's putting green installed by SYNLawn! Just like a golfer sets up at the tee box, the same is true when standing over a putt. Proper set-up is the beginning of a solid putt. Sometimes, the best golf advice we ever receive is from our dads. Such is the case with Watson who, in the November issue of Golf Digest Magazine, offered up this simple dimple tip. "Pick out a dimple in the middle of the back of the ball and hit that dimple with the middle of the putter, keeping your eyes on it as you swing through." Eyes focused on the dimple keeps your head still and gives you a more "consistent stroke". Swivel your head, don't lift it: "You'll see the line of the putt and you'll be less prone to look up too soon." Most importantly, DON'T LOOK UP! Watson follows Sam Snead's advice of not looking where the golf ball goes but listening for the hopeful clink into the cup! Finally, something every golfer who thinks about pulling out his wedge should consider - as Tom Watson states, "even the best chippers putt when they can." Share how you practice your putting with Golf for Beginners blog and SYNLawn Golf: Twitter @Golf4Beginners and @SYNLawn_golf. Disclosure: This is a “sponsored post.” The company who sponsored it compensated me via a cash payment, gift, or something else of value to write it. Regardless, I only recommend products or services I believe will be good for my readers. I am disclosing this in accordance with the Federal Trade Commission’s 16 CFR, Part 255: “Guides Concerning the Use of Endorsements and Testimonials in Advertising.